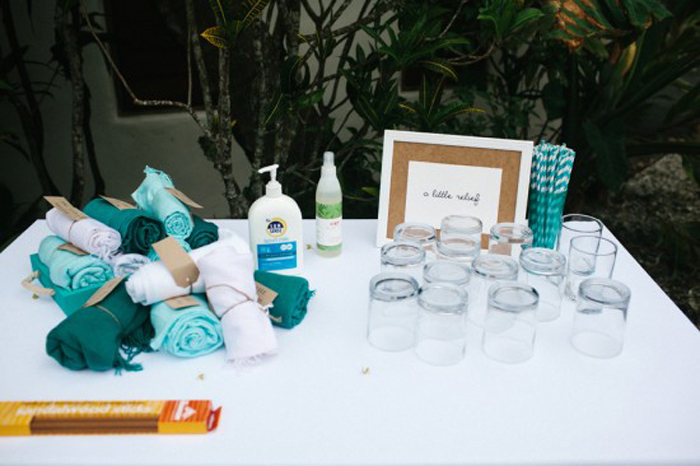 Everybody loves attending a summer wedding; however, guests may feel the need to bring with them more than usual to keep themselves happy and relaxed throughout the day – think a bottle of water, sunscreen, bug repellent and so on. 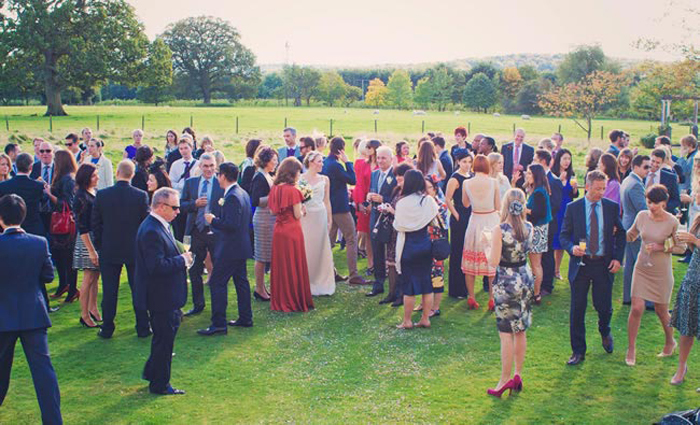 So, why not put your guests at the forefront of your wedding day and provide them all the summer supplies that they may need?! 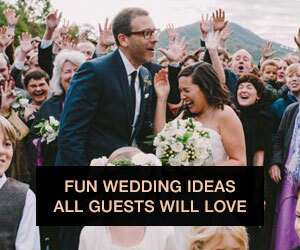 Not only will these fun summer wedding ideas make for happy guests, it also will make for a happy bride and groom since everybody in attendance will be taken care of and ready to help celebrate the day! Even though summertime is the most popular time for weddings, it does bring two minor annoyances along with it – scorching sunshine and pesky bugs. 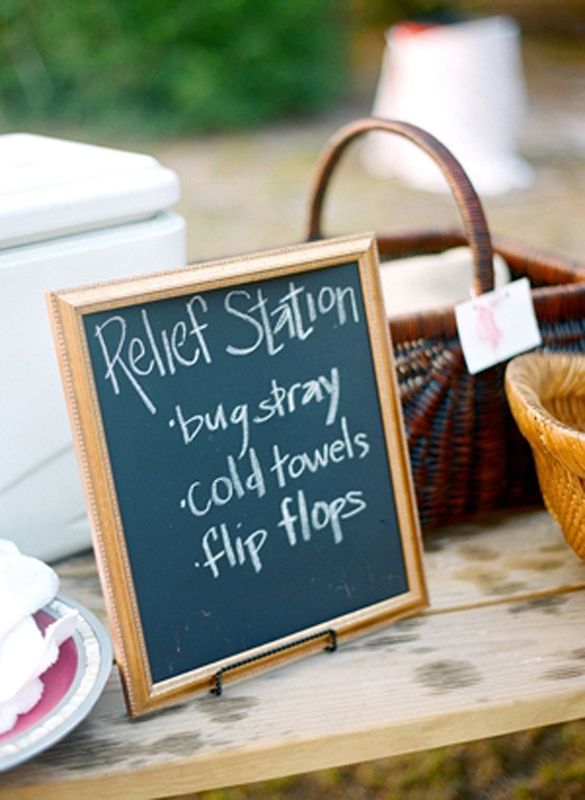 Keep your guests happy by setting up an SPF and bug repellent station so they don’t have to haul their own lotions and sprays with them. 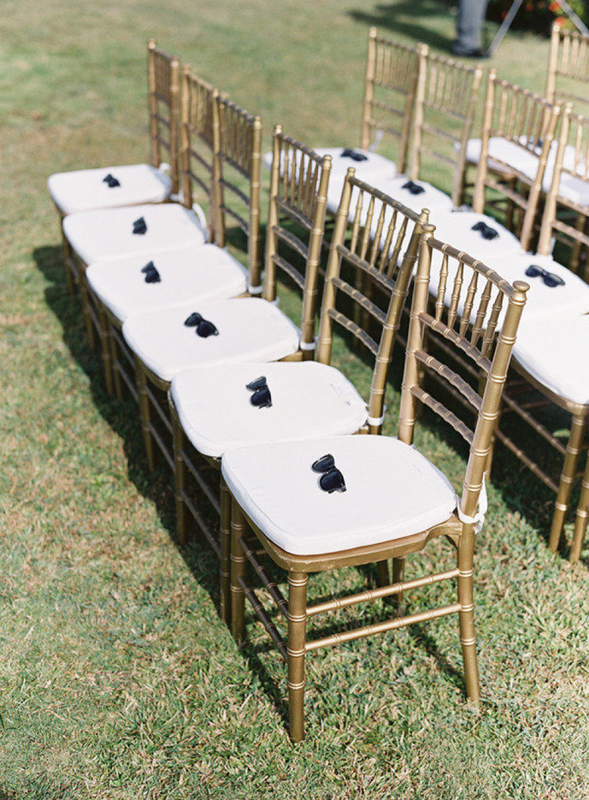 If your ceremony and reception is in the same place, have the station set up all day long so guests can prep prior to the ceremony and reapply later in the day, as needed. 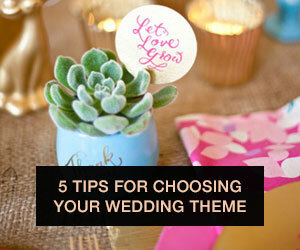 Similarly, if your rehearsal dinner is an outdoor soiree, have the same supplies available. A chic, yet effective, way to help guests shade themselves from the sun is to offer old-time parasols or umbrellas prior to the ceremony. 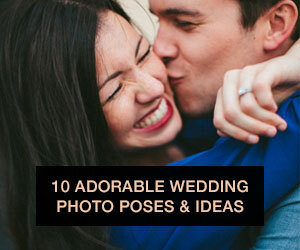 Your guests will be thankful for the reprieve from the sun, and the shady prop will make for a unique touch in photos. Instead of offering guests a separate program and a handheld fan, why not combine the two?! 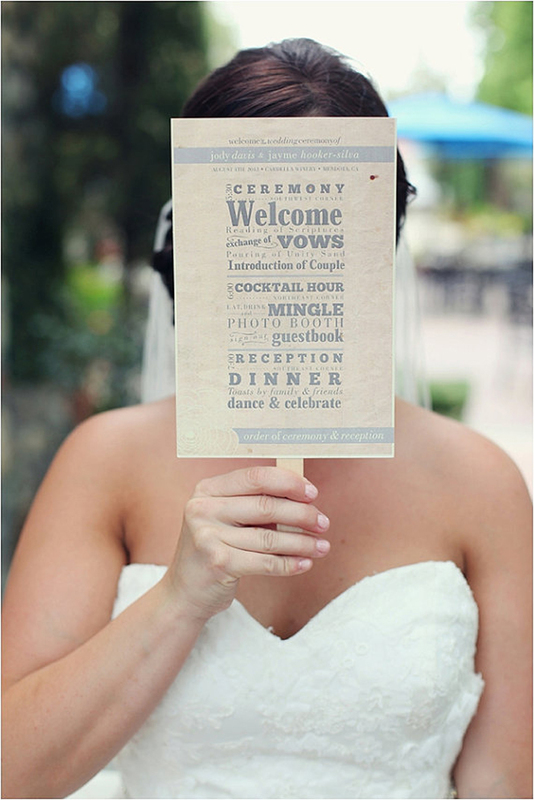 Your guests will enjoy receiving all the wedding day information while also being able to use the program to keep cool. Program fans have grown in popularity over the years and can be purchased from a number of vendors, especially via Etsy. With the warm summertime temperatures, it’s important for everybody to stay hydrated; however, water bottles aren’t the most attractive favor to put on display at a wedding. 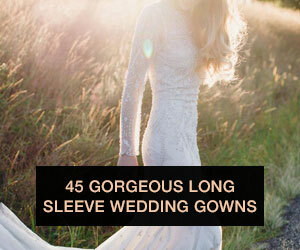 Dress them up a bit with a personalized label! 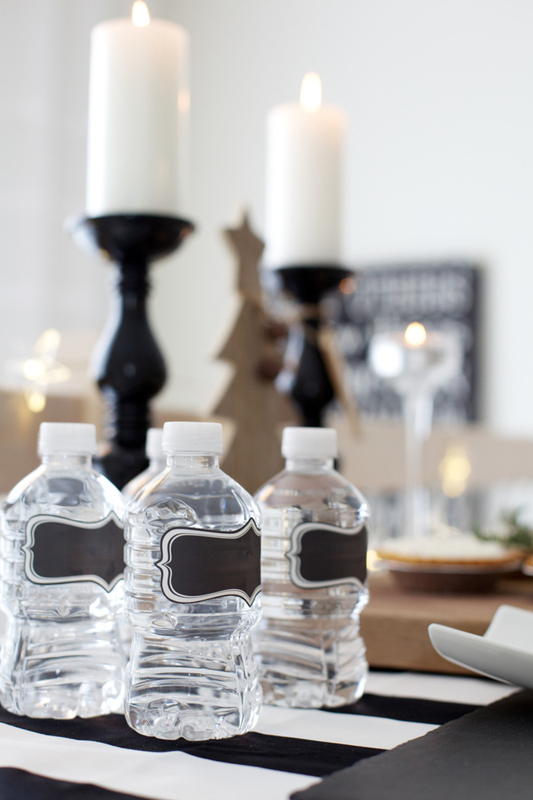 These can get pricey depending on how many bottles of water that you want to personalize, so I found an easy-to-follow DIY tutorial for all of you – there’s also a free template, which takes out most of the hard work! Along with offering water, consider setting up a “cool-down” table that offers everything from lemonade and iced tea to vintage soda bottles and bottles of beer and hard cider on ice in galvanized metal buckets. 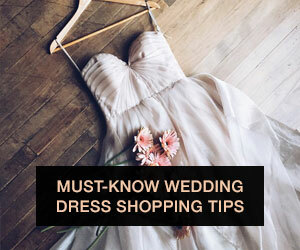 You also could create a signature summer wedding cocktail – Bridal Guide offers a comprehensive list of potential cocktail ideas, but the options are endless. A few of my favorites from the list are Fire & Passion, Summer Passion and Blissful. 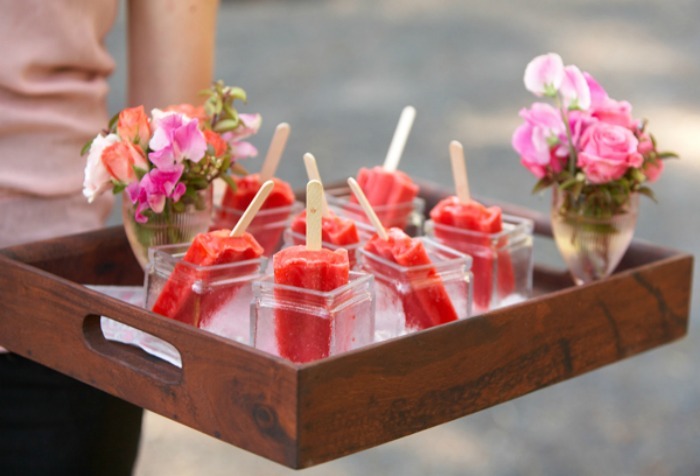 Ditch the traditional cocktail hour appetizers, and pass out popsicles! These classic, low-calorie and cooling treats will be a hit among your guests. You even could coordinate the popsicle colors with your wedding colors. Just like with creating program fans, do double-duty with your favors and hand out something that guests will both enjoy and find useful. 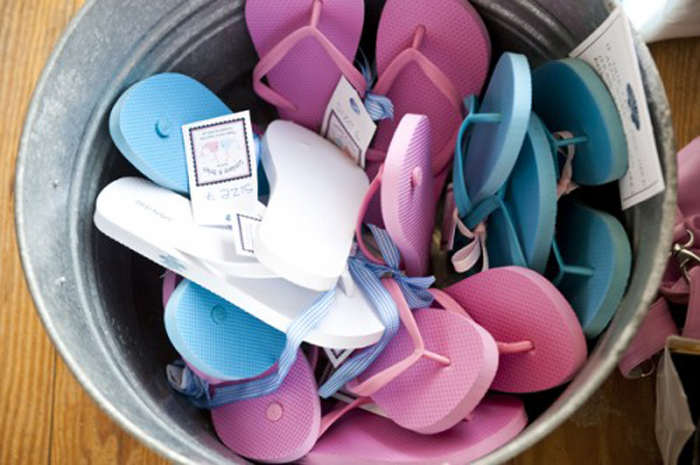 Purchase rubber flip-flops in various sizes and that coordinate with your wedding colors so guests can kick off their formal shoes and dance comfortably (and, let their warm feet get some air!). Plastic sunglasses that are personalized with the bride and groom’s names and wedding date also make for fun photos. To end the summer evening in a special way, hire or rent an ice cream truck! 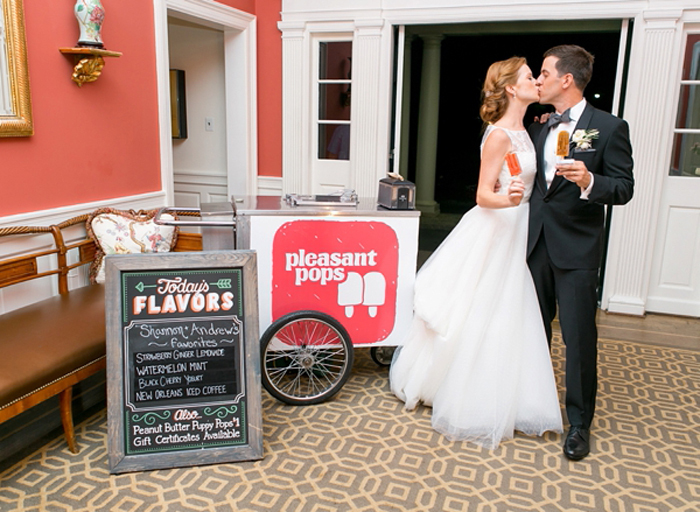 Your older guests will get a thrill out of the summer dessert nostalgia that ice cream trucks can bring, and the truck will provide a cute photo opportunity for the bride and groom. 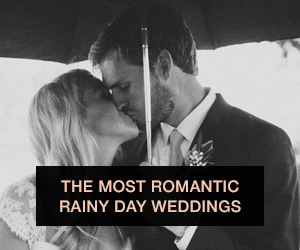 By incorporating these ideas and others that you may have into your summer wedding, your guests will be happy and ready-to-go when it comes time to celebrate and party in the sunshine.